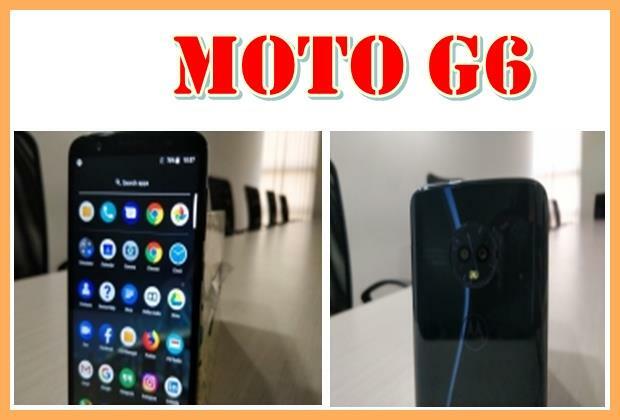 Eyeing a bigger pie of the fiercely-competitive budget smartphone market in India, Lenovo-owned Motorola has added a bigger display and visibly improved the design language of the newly-launched Moto G6. It is essentially a successor to the hugely-popular Moto G5 and attempts to fill in the gaps left by its predecessor. Launched at Rs 13,999 for 3GB RAM and 32GB onboard storage variant, Moto G6 features a Full HD+ "Max Vision" -- an edge-to-edge display with a taller 18:9 aspect ratio for immersive viewing experience and integrated Dolby Audio preset modes. Amid a sea of budget devices, should you consider Moto G6? Here is what we think of it. Moto G6 comes wrapped in a scratch-resistant, shiny Corning Gorilla Glass front and rear with slightly contoured sides that make it fit effortlessly into the palm. The way it caught light when held up was impressive. The 5.7-inch FHD+ is a step up from the all-metal Moto G5 and also resulted in better network connectivity. Thanks to its slightly curved rear, this is perhaps the most comfortable and perfectly-sized smartphone, which is easy to use with one hand. We particularly liked the placement of the fingerprint sensor on the front which can be pressed to both lock and unlock the device. The scanner was accurate and pretty snappy. There was this one-button navigation gesture -- in typical Motorola-style -- which the company started introducing well before Google had plans to roll out the feature with Android P Operating System (OS). A significant upgrade from the previous budget devices to the Moto G6 is the USB Type-C port. Housed alongside, on the phone's bottom edge, is the standard 3.5-mm headphone jack. The photos, including the portraits, were good. The images had accurate colours and were fairly detailed when shot in favourable lighting conditions. The selfies taken on the phone also came out good in well-lit conditions. The device is powered by 3,000mAh battery with the company's proprietary "TurboPower" charger that fuelled the phone from 0 to 100 per cent in about one-and-a-half hours. Thanks to Motorola's hardware optimisation, the budget Qualcomm Snapdragon 450 chipset performed well and handled everyday tasks smoothly. Photographs shot in low-light conditions from both the primary and front cameras missed out on detail and looked grainy. We were able to quickly charge the battery but it depleted rather quickly. We managed to squeeze out close to 12-13 hours on a single charge. Conclusion: Considering the overall performance, design and build quality, we can easily say that this is a great value-for-money buy that ticks the right boxes. We would recommend the phone to those looking for a neat stock Android experience without willing to shell out a lot on a smartphone.